Soft-grip built up handles give those with arthritis or limited dexterity a larger gripping surface on forks, pens, toothbrushes and more. Comfortable ergonomic design reduces hand fatigue. 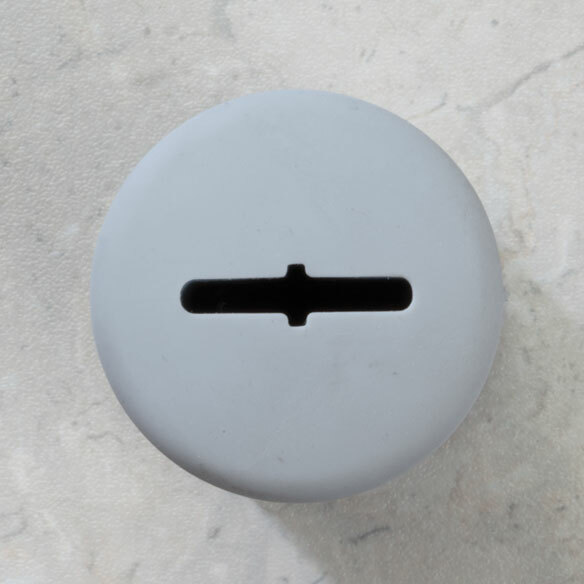 Each easy on/off build up utensil handle has 2 ends to fit utensils 1/4"-1" W. Dishwasher-safe thermoplastic. Set of 4. 3 5/8" L x 1 5/8" W x 1 3/8" H.
Bought as gifts for two friends that have severe rheumatoid arthritis and are beginning to have difficulty eating and managing pens, etc. Kept one for myself as some days eating is hard for me and slicing is too. These are terrific products! I am recovering from a stroke and these help me get my food to my mouth and not in my lap. My husband has early signs of Parkinson's and has a hard time using his right hand in writing or eating. 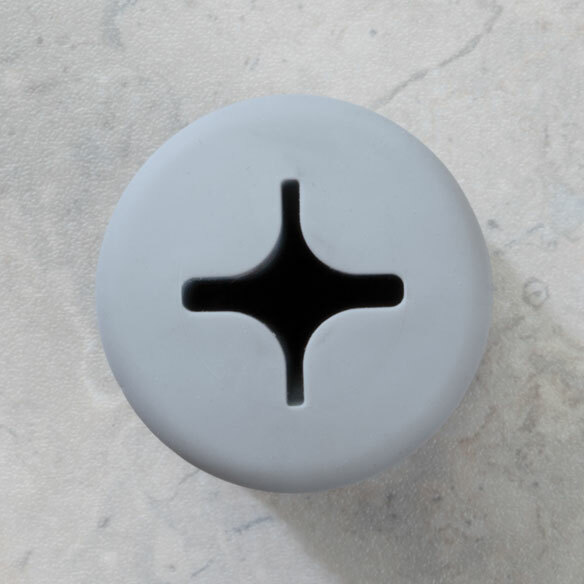 The bulkiness of these handles makes it easier to cut food and feed himself. Wonderful since I have limited dexterity from muscular dystrophy. They fit on any silverware, I can even take them in my purse to use at a restaurant! GIFE FOR MY ELDERLY FATHER. HE FINDS THEM VERY USEFUL. Just wished they came in different sizes. I find them just a little to larger around. These work well. A little hard to get use to at the beginning but once you have them figured, they work good. Made of a rubbery material so they are easy to grip and hang onto. Need to get rid of the rubber smell though. Arthritis but the size helps me grip it. I have large hands which makes it easy. If I had small hands it would be inconvenient in size. I have Essential Tremors and was looking for something to make eating easier. The basic idea for this product went too far. The curving out at both ends make them hard to hold. Straight would have been better. I don't recommend. them for that reason. I may try cutting the curves off. Some items slip out of it. Need it for toothbrush, spoon, fork, knife, can't use a pen in it. I would recommend these to a man with larger hands. Not for women! Due to fluctuating dexterity issues this seemed a go to product. For the reasons given I returned this 4-piece set as I have small hands. My Description is not only cooking related as listed here with no option to edit this. I'm a former avid cook but heat keeps me out of the kitchen. I ordered these to make holding pens, pencils, dinnerware utensils easier. My hands are completely numb so things slide out of them easily or spin while you are holding them. These seemed very large and bulky. They just didn't work. Sorry! Hoping to facilitate better control of hand instruments. My mother has some occasional issues with her handgrip. Holding knives & forks can be a challenge. I am hopeful this will help. 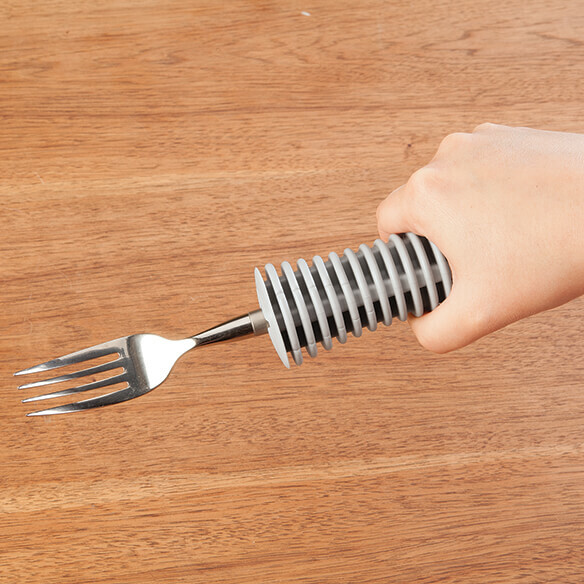 My wife choose this item because it will be easier for her to grip the utensils. i have arithritis & it is very difficult to use my thumbs to grip utensils. My husband has Parkinsons Disease with dementia. He has trouble handling eating utensils and such. This should help him a lot. I'm hoping this will make holding items more comfortable in my arthritic hands. I have trouble gripping small handles! My dad has trouble holding utensils, I hope this will help. I have a patient who has lost most of the ability to use his right hand due to a fall I have been looking for some silverware for him so that he can eat better, I was looking through this magazine and I think I have found the perfect thing for him. husband has problems holding silverware and such. so my husbands can hang on to his silverware. My husband uses these because he has no feeling in his hands due to Chemo treatments. Loves them. for my son whose hands are partially disabled. My dad has Parkinson's and shakes alot. Hard to eat when he is not steady. Husband had a stroke and has trouble using his hands. I chose to get these Handlers to see if they may help with my Tremors at least assist me anyways. My Husband needs them to use on his spoon to eat with!! My husband has Parkinson's and his neurologist rec ommended these. Initially to assist with dining utensils. Now I use them in crocheting. I often drop my utensils and I hope this will help with that problem. Have another set which I use every day. Very helpful, and easy to use. father keeps dropping his spoon. needs fatter utensils. Can these be used with electric toothbrushes? BEST ANSWER: My husband has a neurological disease and it hard for him to grasp things with his hand. This large holder makes it easier to being able to feed himself. 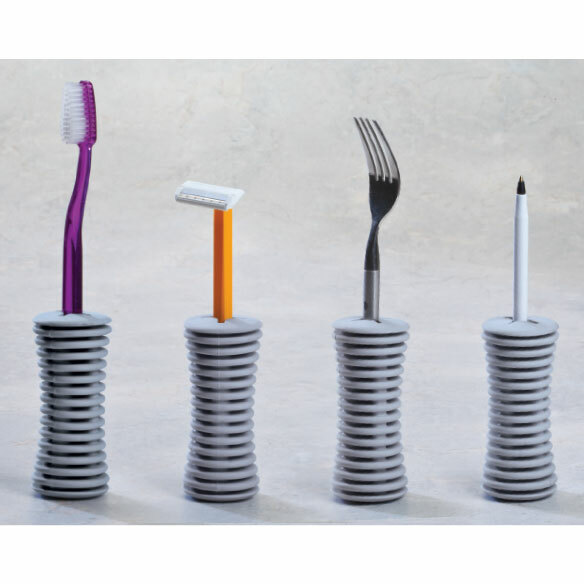 And I think that it would work with a regular toothbrush, but not with an electric toothbrush. It would not fit in the opening. probably not. 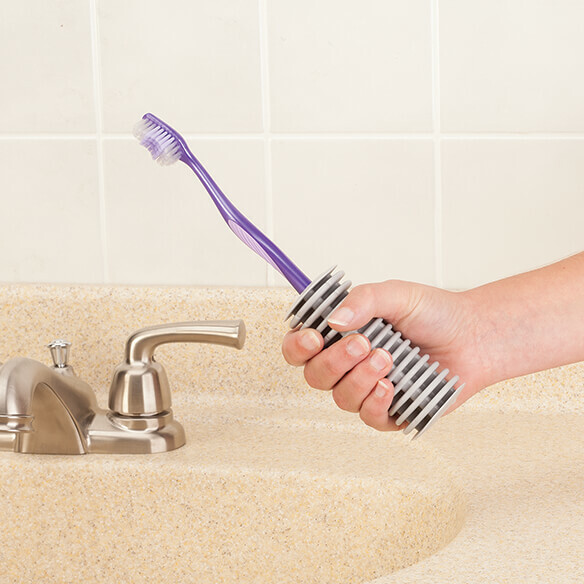 they are designed for standard sized toothbrush handles. BEST ANSWER: Thank you for your question. Yes, this item is latex free. We hope this information will be of help to you. My mom needs a grip to hold a key to put in lock and turn it? BEST ANSWER: if key is large enough to lock in slots it will work. just no very small ones. can I use this to extend a hairbrush handle? BEST ANSWER: Thank you for your question. No, this item is not used to extend your brush handle. We hope this information will be of help to you.